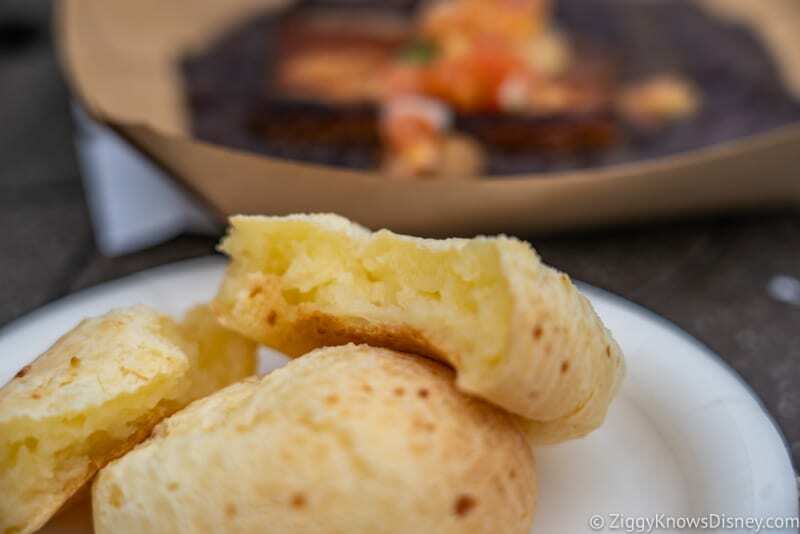 Any booth that’s home to Cheese Bread and Pork Belly is going to be right up there near #1 for me, and that’s exactly where Brazil usually is every year. 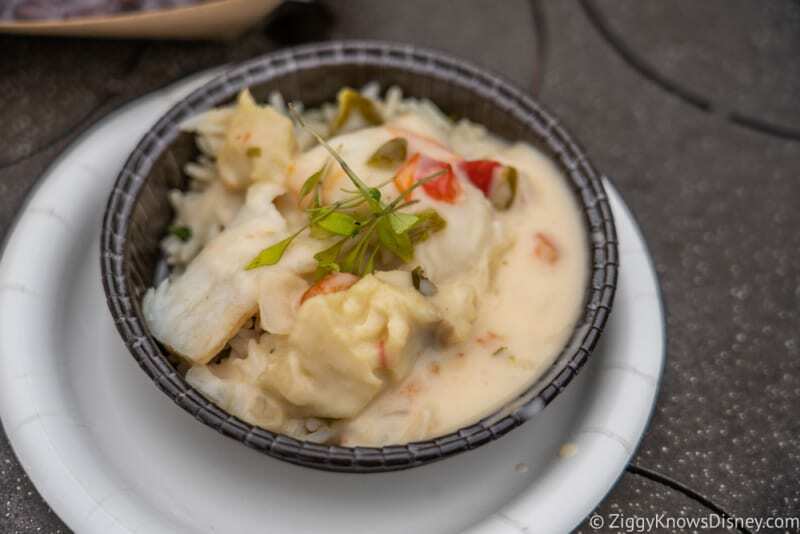 But this year there’s also a new option in the Brazilian Seafood Stew that also sounds amazing! 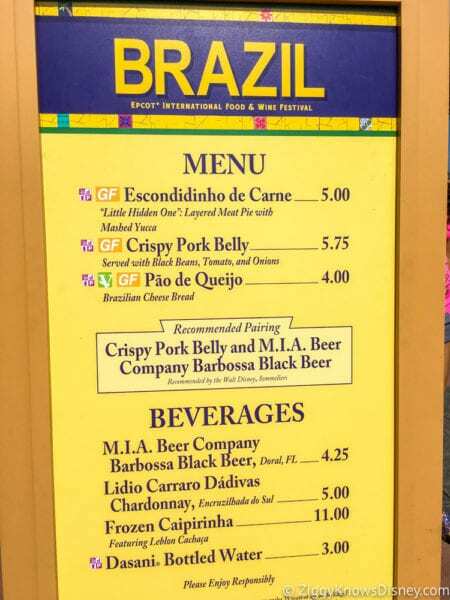 Can Brazil be in the running again for #1 Booth at Food and Wine?? 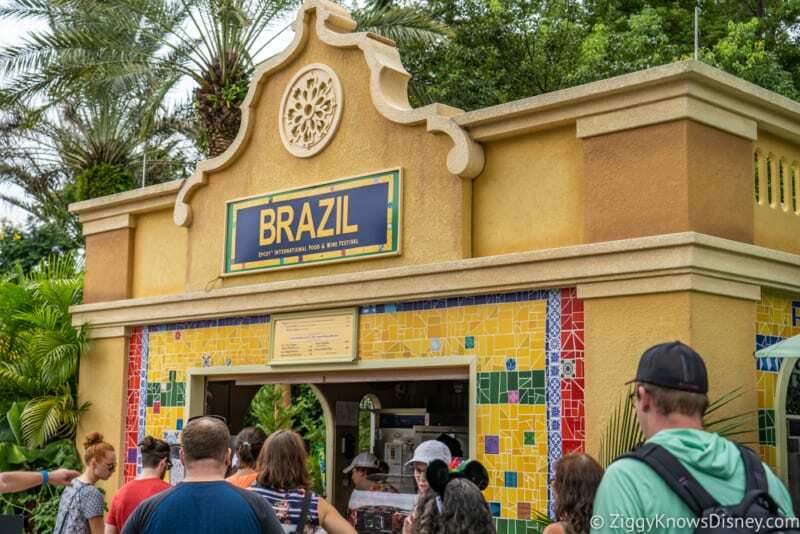 Let’s find out in my Brazil Review: 2018 Epcot Food and Wine Festival…. One big change is getting rid of the Layered Meat Pie from last year, and putting in the Seafood Stew this year. We’re usually more meat eaters, but we’ll give the fish a try. 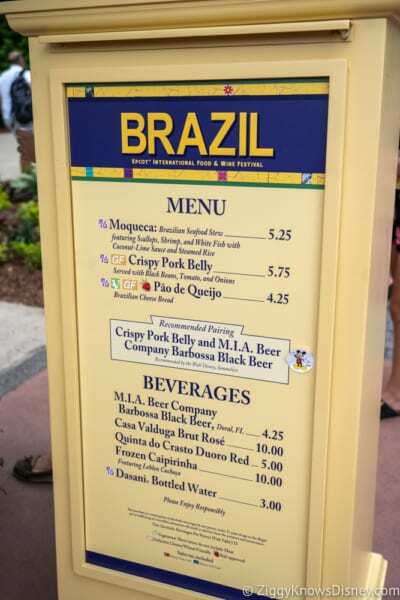 Also the Brazilian Cheese Bread went up 0.25 cents from last year too. 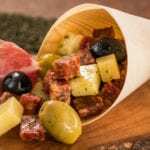 This is a replacement for the Layered Meat Pie last year and we were pleasantly surprised! I would have liked a base other than just plain white rice, but I see why they did that since they went with a white creamy sauce to pour over it. There was a good amount of fish, but I couldn’t really tell too much was fish was actually in there. I did make out some kind of white fish, and it was very flakey and most and there were big chunks of in it there. A nice change of pace and something worth trying for fish fans. Just give me pork belly any day of the week and I’m a happy camper! I keep coming back again and again to Brazil, and mostly it’s for this stuff. 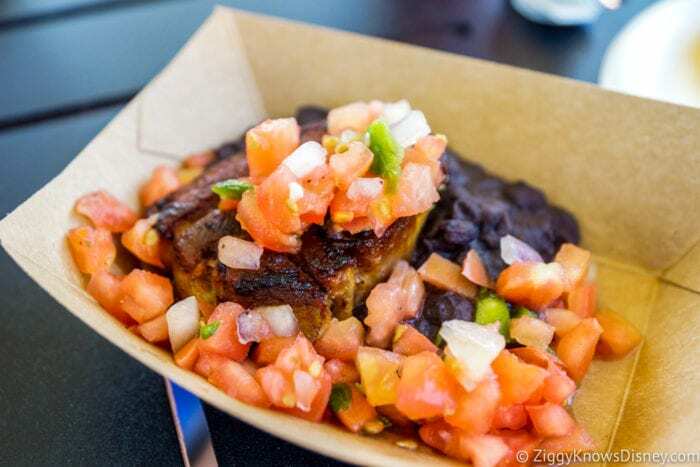 It’s served the in the same format as last year, on a bed of creamy black beans with a tomato garnish. 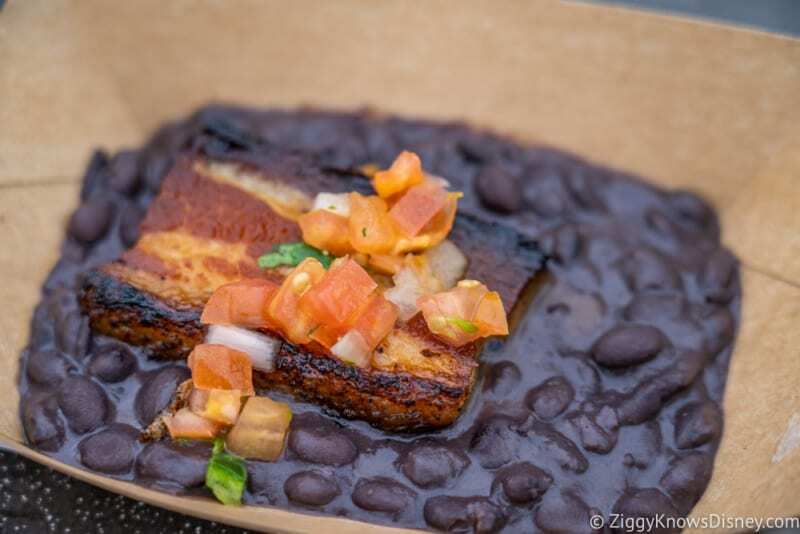 The pork belly was cooked perfectly, which though the name “crispy” is in it, it sometimes gets cooked a bit too much and can be on the dry side. This one wasn’t like that and we loved every bite! Pull that cheese bread apart and you can see below that crisp outside shell, is dense, rich cheese. I wouldn’t call it stringy, but it’s just gooey goodness, especially when hot! It packs a big punch in a small package and ends up being more filling than you think. 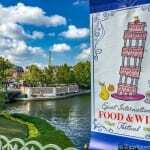 At just over $4 it’s a great deal and deliciously good too! 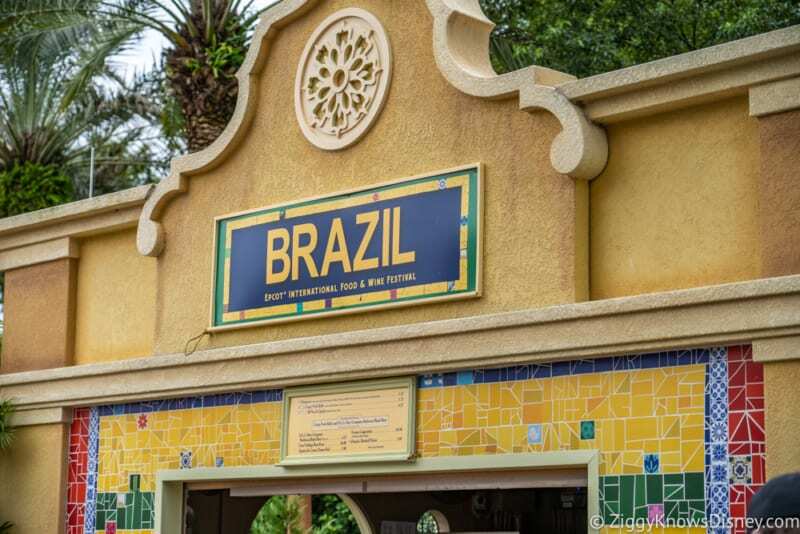 Brazil was one of the stronger marketplaces this year as always. The Pork Belly was super tasty, but lost a couple points for the size. The Cheese Bread made up for it though and was a great value/taste option! 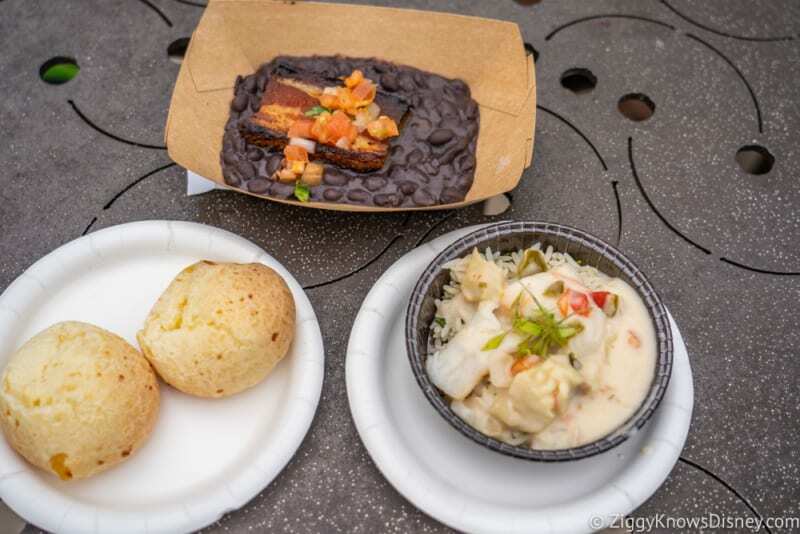 Even the new Seafood Stew while not my favorite dish at Food and Wine, was still a solid addition, and I applaud Brazil for trying something new instead of just always sticking with the same old things. 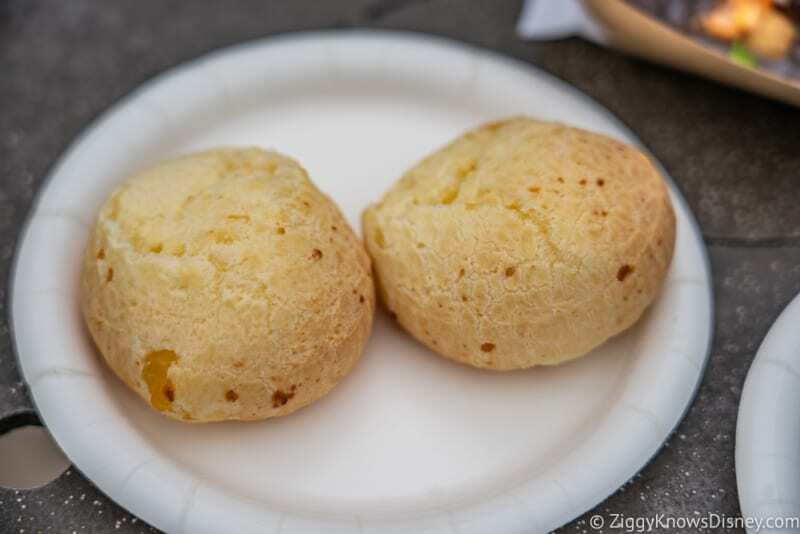 If you have to get just one thing: Brazilian Cheese Bread!